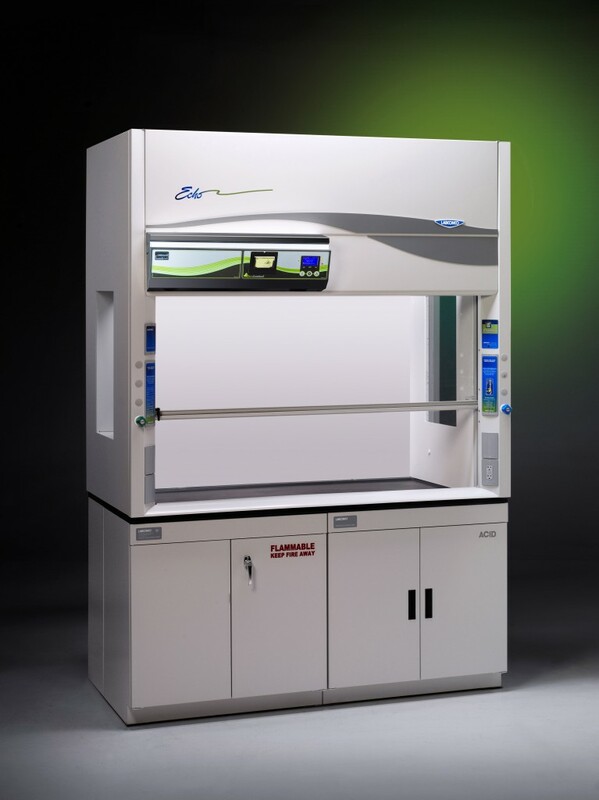 The Protector Echo Filtered Fume Hood is available in 4', 5', 6' and 8' widths. 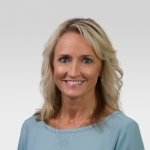 Neutrodine® Filtration Technology offers comprehensive molecular filtration. 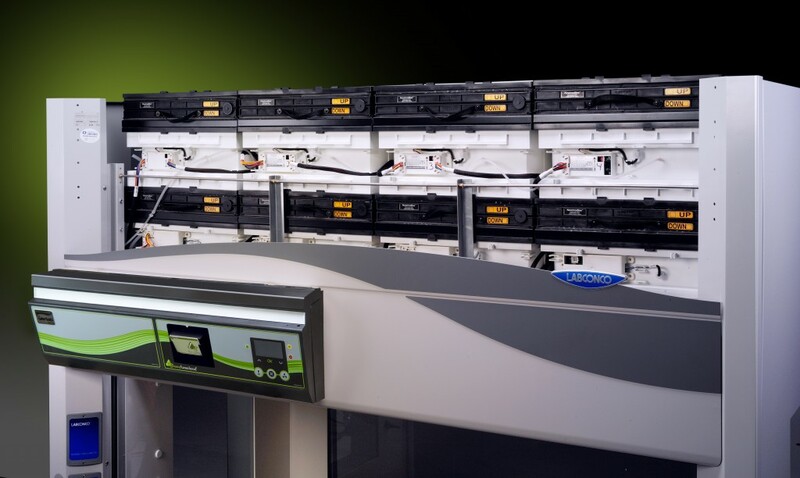 Optional gGuard® communication software offers realtime monitoring by a designated facility manager. 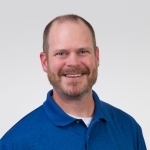 From a remote location, data such as usage authorization, filter saturation detection, sash position and temperature may be observed and managed. Erlab-proven Neutrodine® Filters are the heart of GFH Filtration Technology. 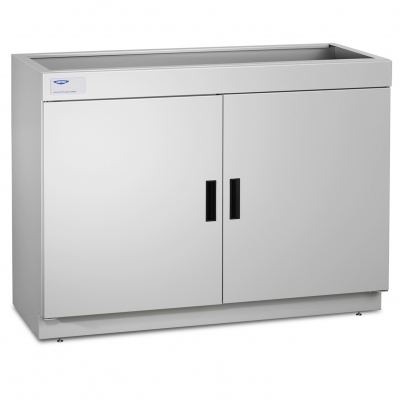 Benchtop models include a fiberglass panelized liner with optional side windows, or with optional side and back windows. 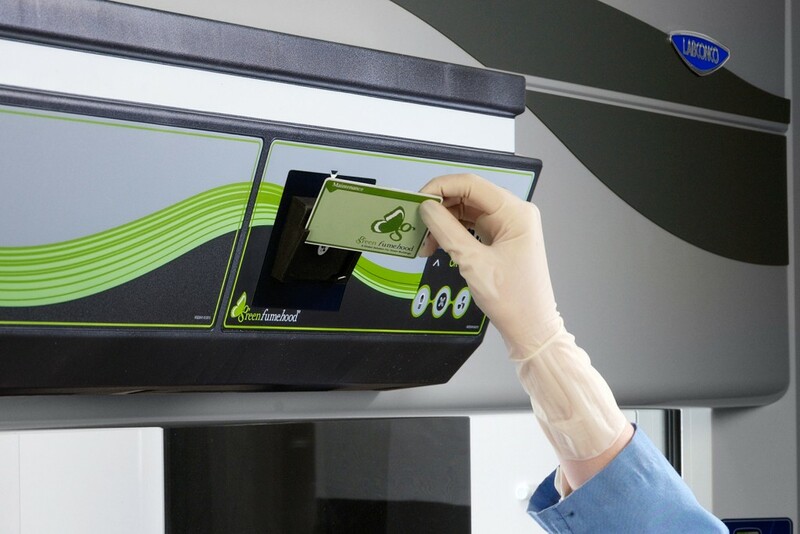 To determine if your application is right for a Protector Echo, please submit a Chemical Assessment Form to a Labconco specialist who can recommend the appropriate enclosure for your application. Single-piece, tempered safety glass vertical-rising sash with cable and pulley, sash weight and powder-coated aluminum sash handle and tracks with Clean-Sweep airflow openings. Sash stop at 16" sash opening height. Sash opens to 28" high for loading. Audible/visual alarms for breakthrough detection, temperature ≥40° C (104° F), fan failure and high sash position opening. 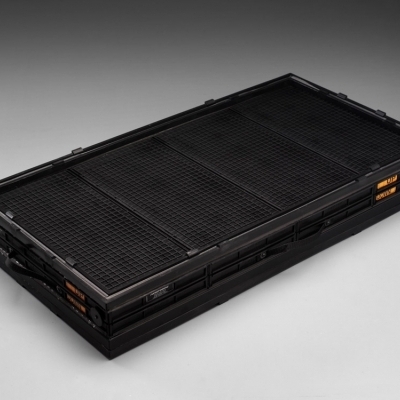 At ≥60° C (140° F), all fans stop. Two pre-plumbed service fixtures with forged brass valves, lower right side with brass tubing for gas and lower left side with copper tubing for cold water. 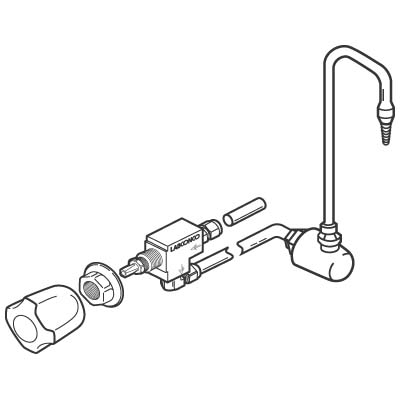 Components for converting either or both fixtures to air and vacuum are provided. Inlet tubing is not provided. Watch as we demonstrate how fast and easy installation of a Protector® Echo™ or Airo™ Filtered Fume Hood is. No ducting, no external blower, and no building infrastructure redesign required. Perfect for new or retrofit applications where ducting would be impossible or where energy efficiency is a must. This folder contains the Revit modeling for the 4' Protector Echo Filtered Fume Hood. This folder contains the Revit modeling for the 6' Protector Echo Filtered Fume Hood. 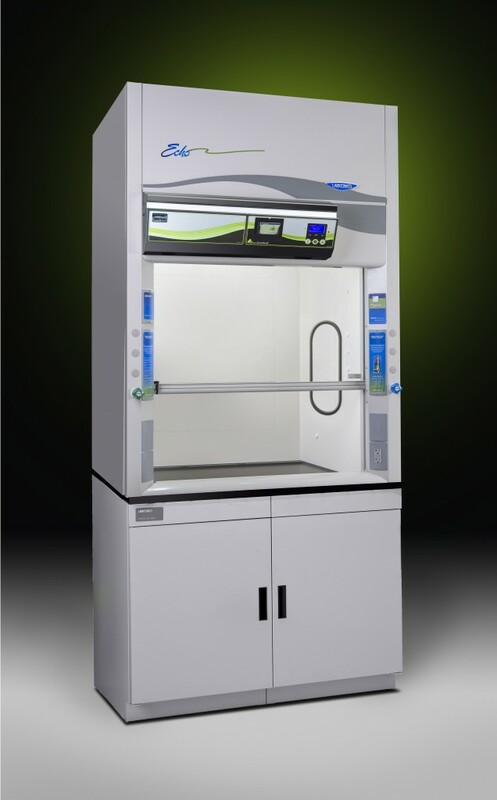 For validation of predetermined Protector Echo and Airo Series Laboratory Fume Hood specifications. 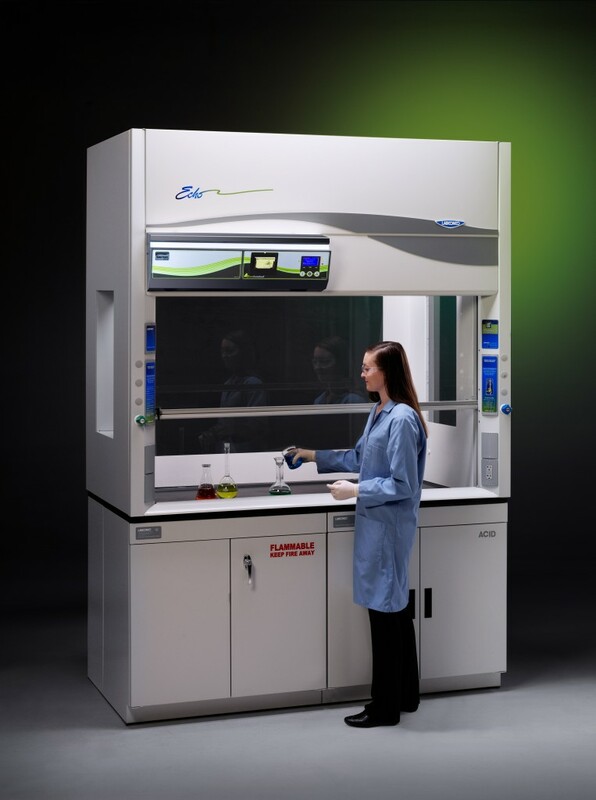 Provides a checklist of installation and operation qualifications to complete when beginning operation on new or used Protector Echo and Airo Series Laboratory Fume Hoods. 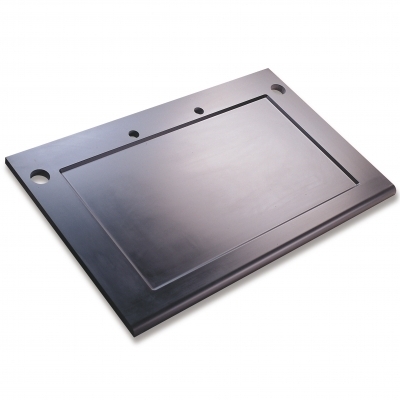 Labconco offers a complete line of accessories to customize your Protector, Basic or Fiberglass 30 Laboratory Hood. Multi-purpose carbon filters for use with Protector Echo Filtered Fume Hoods. 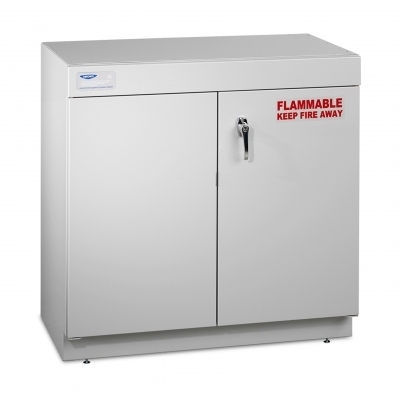 These cabinets support Labconco fume hoods and other enclosures and safely store and vent solvents and other flammable liquids.